** Red Sport trim shown for illustration only. MSRP $39,295. $995 capital cost reduction (includes 1st month’s payment of $299) plus government fees and taxes total due at lease signing. 10K miles per year and $0.25 per excess mile with $0 security deposit. On approved their 1 credit through INFINITI Financial Services. 2 at this price. Example Vin : KM519618. Offer expires 04/30/19. MSRP $45,470. $995 capital cost reduction (includes 1st month’s payment of $399) plus government fees and taxes total due at lease signing. 10K miles per year and $0.25 per excess mile with $0 security deposit. On approved their 1 credit through INFINITI Financial Services. 2 at this price. Example Vin : KC554578. Offer expires 04/30/19. MSRP $42,030. $1,995 capital cost reduction (includes 1st month’s payment of $399) plus government fees and taxes total due at lease signing. 10K miles per year and $0.25 per excess mile with $0 security deposit. On approved their 1 credit through INFINITI Financial Services. 2 at this price. Example Vin : KF132188. Offer expires 04/30/19. MSRP $51,295. $1,995 capital cost reduction (includes 1st month’s payment of $539) plus government fees and taxes total due at lease signing. 10K miles per year and $0.25 per excess mile with $0 security deposit. On approved their 1 credit through INFINITI Financial Services. 2 at this price. Example Vin : KM505362. Offer expires 04/30/19. INFINITI of Oceanside offers an impressive selection of new and used vehicles. Our dealership not only has crossovers like the QX50 and QX70, but also coupes and convertibles. In addition to the amazing vehicles, we are committed to providing a pleasant customer experience. So feel free to call us at our Oceanside INFINITI dealership at (760) 683-9601. 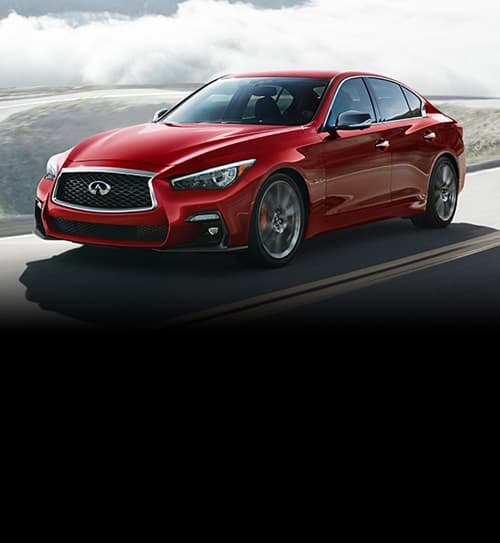 San Marcos INFINITI buyers can even email us with any questions they may have! We will be glad to answer all the questions.